The recipes for online B2C marketing in the US and in Europe seem to share common ingredients. You are familiar with viral content on Facebook and Twitter, you invest in Google Ads campaigns and you use specific tools to take your customers for an integrated online experience. Your B2C company is currently in China and you are selling to Chinese consumers. So what changes? Everything. As I explained in my previous article, 5 Essential Things For B2B Marketing in China, your customers do not have access to Google, Facebook, Twitter, YouTube or Snapchat. Thus, in China, you must develop a specific online marketing strategy. Those unfamiliar with the internet in China ask me – Is it worth it? My affirmative answer is connected to figures. Breathtaking figures. China has more than 700 million internet users. Which means 22% of the population that has access to the internet worldwide. Or more than the United States, India, and Japan combined. Out of these, 88% are also mobile internet users. Worldwide, the average barely reaches 53%. China is the biggest e-commerce market in the world, with 380 million online shoppers. The Internet penetration rate in China just surpassed 50%. This means that the potential growth of internet users is off the charts. Before we start I am going to state the obvious – your website MUST be in Chinese. If your target is reaching as many Chinese consumers as possible, language is essential. Do not use an automatic translation service, adapting your content to the Chinese audience is important. Having a website which loads fast is essential. If you are based in China, the best option is to choose a Chinese server, since it can offer a loading speed under 2 seconds. When you choose a local hosting service you must keep in mind two aspects. host you website in Hong Kong. Your hosting provider should have servers all over China. Since physical distance matters – and China is size of a continent, a provider should be able to provide you hosting services on several servers, i.e. located in Shanghai, Beijing, Guangzhou, Chengdu. A Hong Kong server must have dedicated lines to Chinese telecom operators. * *For best results, pair your website with a Content Delivery Network. In China, the gateway to your website is WeChat. The mobile text and voice messaging communication service has more than 570 million daily active users. The QR code scanning feature is so easy to use that it became the channel to use when following brands. Now that you know you need a WeChat account, you have two options. Companies can choose between a Service Account or a Subscription Account. Understanding the two options is key to identifying the perfect fit for your business. A daily message can be transformed in a mini-newsletter which will reach all your subscribers. Brands sometimes use it for last minute special offers info. Set your WeChat account in China. Users who go on the Chinese version of WeChat cannot access WeChat Official Accounts registered outside of China..
Online live assistance should be an important aspect of your customer care strategy. You have several options which allow you to answer your client’s questions. Install a chatting tool on your website! You can use Shangqiao, from Baidu, or Business QQ, from Tencent, to answer questions about your products and services. Use WeChat! Once you have your WeChat account, put it to use to offer customer service. Ask your followers for feedback or give away personalized offers. Use Weibo! More than 50% of Weibo users expect brands to handle complaints online. Use this opportunity to answer requests. Chinese customers enjoy perks as well as dedicated customer care. Use your online chatting tools to find out more about them. Transform that information to create special deals in the future! While it is easy to think of Weibo as China’s Twitter, it has, of course, its particularities. With more than 222 million monthly active users, Weibo is the only social network that keeps the pace with WeChat. 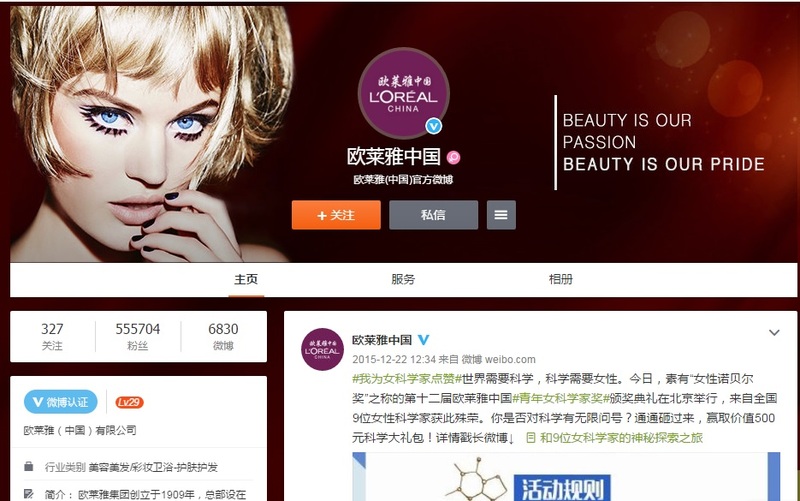 Almost 500.000 advertisers use Weibo and more than 400.000 business have official accounts. Recent data shows that more than 44% of the members use every day an e-commerce app. The Chinese consumer is deeply influenced by recommendations. Family and friends come in first, but online trendsetters gain more ground in China. More than 700.000 celebrities have an account on Weibo. Building a campaign around on influencer can help your company reach an important number of followers. You can also use paid ads – similar to those on Facebook – or Weibo’s promoted posts, a concept also used on Twitter. In order to use Weibo you need a Chinese-speaking employee or an online marketing company that can efficiently manage your account. PayPal is king when it comes to online payment methods in Western countries. This is not the case in China. 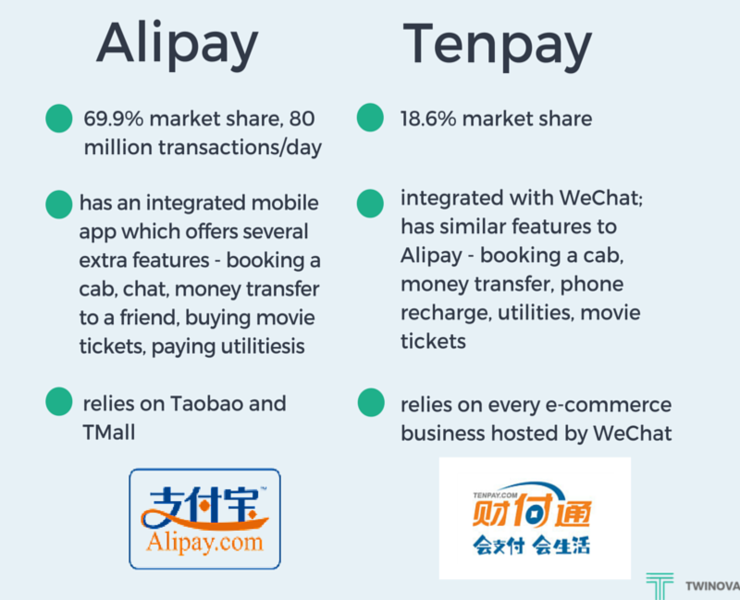 Alipay and Tenpay are the tools you need to use in China. Both are part of giant Chinese internet corporations – Alibaba and Tencent – and share the Chinese third-party online payment market. When launching an e-commerce business do not forget to integrate China UnionPay (CUP) payment services. CUP is the only domestic bank card organization and the only inter-bank network in China. While having your own online store might seem attractive back home, in China opening one on Taobao or Taobao Mall can be a smart choice. Follow our Twinova account for a future article on the difference between Taobao and Taobao Mall! Google is surely mentioned every-time you discuss your international online marketing strategy. In China, you need to focus on Baidu. 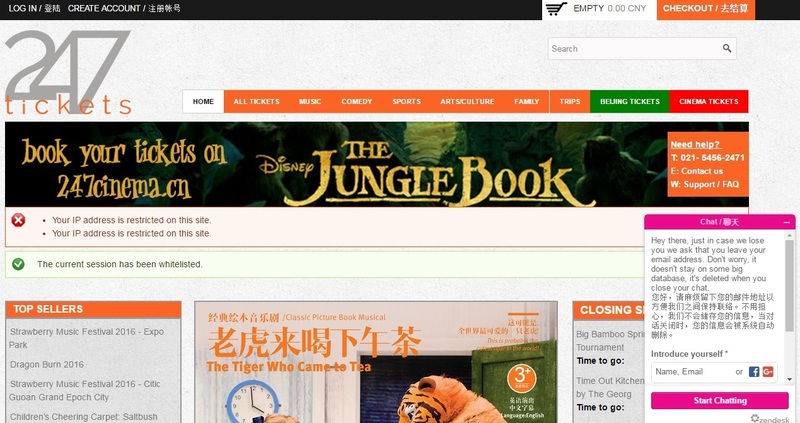 The Chinese search-engine can be your biggest ally when looking for distributors or re-sellers. Although your business might follow a classic B2C model, when looking for partners use B2B strategies. Search Engine Marketing (SEM) services can be easily tailored-made for your needs. Include specific keywords and geographical data to reach your target audience. Baidu results when typing "Nike"
The fact that your company might not have a Chinese entity is not an issue for Baidu. Creating an official account might take as much as a week, due to the thorough check. Keywords are also analysed in depth, thus you need to plan your campaign a couple of days before you actually want it to go online. The search engine has a platform similar to Google Analytics, but some features vary. Use Baidu Trust if your website is not indexed as you expect it to be. Due to multiple factors, this might take time. The Baidu Trust service certifies that a company, a website or a trademark used online are authentic. Once verified, an “original” tag will be showed next to your website, when listed in the search results. Bonus tip – Go mobile! Internet mobile is big in China. Netizens use their smartphones to browse, book, buy and transfer money. Thus, your website must have a responsive design which is adaptable to any mobile device. © 2019 Twinova Co., Ltd. All rights reserved.